Sitting alone in his basement apartment, Space Larrabee wades through his dark night of the Soul hoping to reassemble the pieces of his broken world into a new life. Two interwoven love stories as told by Space and Thyme usher us through seven spirited years of discovering love and searching for deeper meaning in the seventies. Space is led to a nameless path with no roadmap. Thyme sets off on another course. This tapestry unfurls into a compelling, sophisticated story incorporating a wealth of cultural references in the arts, science fiction, mythology, music, poetry, and otherworldly experiences. 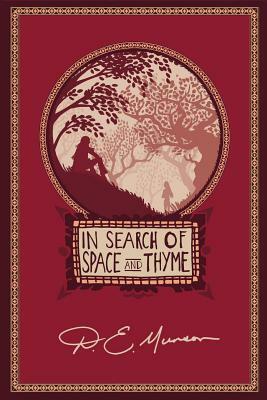 Explore this world and beyond through the adventurous eyes of Space and Thyme. You may just see your own reflection.